SaddleBrooke One is a private active adult community nestled in the foothills of the Santa Catalina Mountains in Southern Arizona. We take great pride in our 27-hole golf course, restaurants, Tennis Center, state-of-the-art Fitness Center and the Golf Shop - stocked with everything from golf equipment to the latest in course apparel. SaddleBrooke One is the largest active private adult resort community in southern Arizona. Located north of Tucson in the majestic Catalina foothills at a height of nearly 3,500ft; SaddleBrooke One benefits from cooler summers which permits golf and outdoor activities all year long. SaddleBrooke One was founded in 1987 on 1,200 acres with approximately 3,650 residents, over 2,000 homes, 26 miles of private roads and abundant wildlife. Our grand Clubhouse offers a private meeting place for residents to gather for dining, events, club meetings, and many activities every day of the week. The Clubhouse is home to a well-maintained library with hundreds of titles to choose from, meeting rooms, The Agave Lounge and The RoadRunner Grill. The Vistas dining room is the perfect scenic setting for celebrations, live entertainment, and fine dining. As twilight falls on the Catalina Mountains, The Vistas ambiance is second to none. Nestled against the Foothills of the Santa Catalina Mountains, SaddleBrooke One provides residents and guests with 27 holes of parkland style golf featuring undulating fairways and tall native trees. There are three courses: SaddleBrooke, Tucson, and Catalina; which may be played in any combination to create a unique golf experience. There's always something exciting happening in the SaddleBrooke Communities. 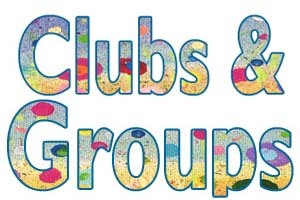 Check out the Clubs and Groups update page for things happening at SaddleBrooke. All items made exclusively by SaddleBrooke Residents. Now open daily 8 a.m.- 4 p.m. October-April. 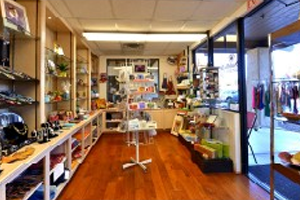 Located in the Arts and Craft Center. Tennis players, SaddleBrooke Tennis Club wants you! STC has much to offer for every level of player from the beginner to the expert. We regularly email news, updates and community happenings to our friends around the world. If you'd like to learn more about the SaddleBrooke Experience and are considering becoming a resident, sign up for our newsletter.